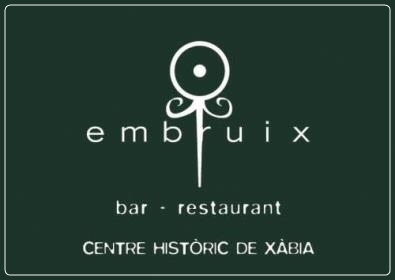 EMBRUIX is a charming bar-restaurant located right in the heart of the historic centre where you can enjoy a breakfast, delicious local tapas, lunch and dinner or just a drink or two with friends and family in comfortable surroundings created by the traditional tosca stone arches and walls combined with modern decoration to create a very special and unique ambience. 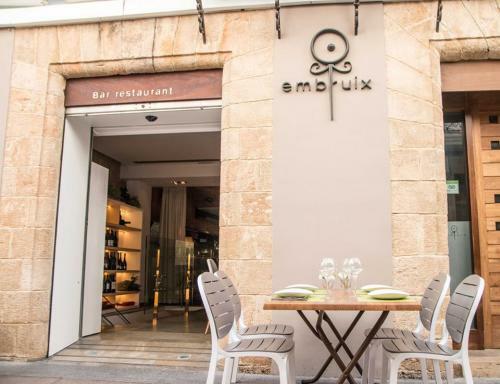 Embruix is a popular venue to while away the time with a coffee or enjoy a good wine from an extensive collection provided by some of the best local bodegas. 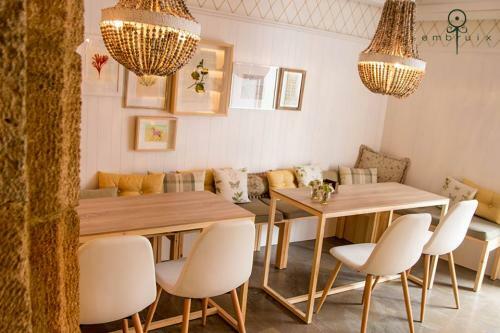 And downstairs there is a comfortable area which is perfect for get-togethers and meetings. 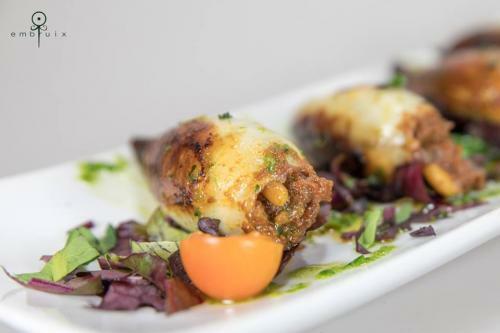 From the kitchen, it offers a daily-changing value-for-money 'menu-del-día' and 'menu-de-noche' as well as a varied 'a la carte' menu which is renowned for its seasonal specialities and mouth-watering desserts. 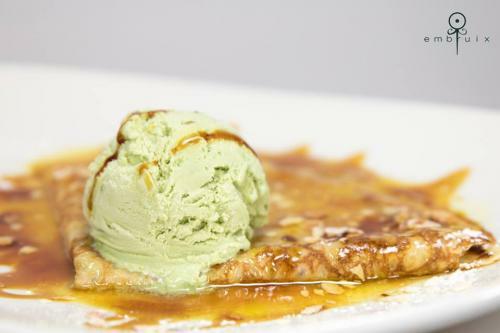 Check out the sample menu below. WiFi available, just ask for the password. Choose from serrano ham, tomato, manchego cheese, sliced ham, cream cheese. Steve Fordham, Sept 2018 - Great place in the old town !